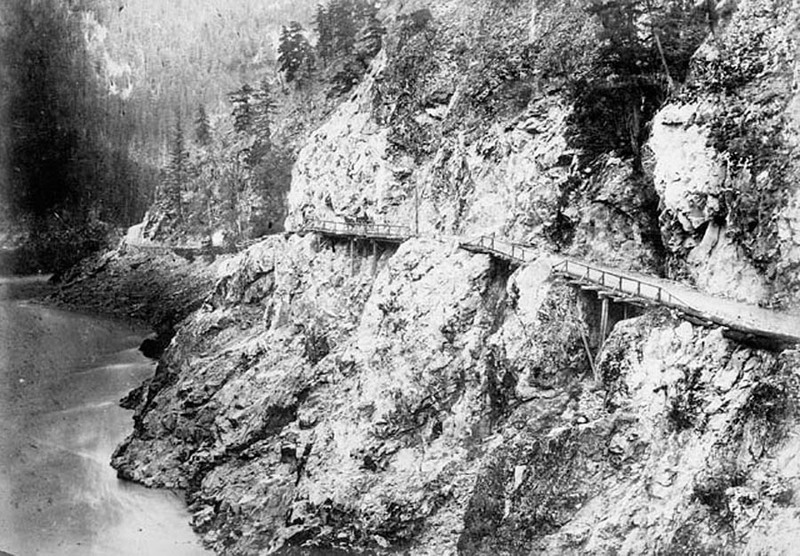 Cariboo wagon road – centred around the town of Barkerville, the gold rush was in full swing by 1860. Shares in Barkerville Gold Mines (CVE:BGM) added 8.6% on Tuesday after the company announced the latest set of drill results from its flagship Cariboo project in British Columbia. On the TSX Venture Exchange BGM exchanged hands for $0.76 a share for a market valuation of $227 million. Barkerville stock is up a spectacular 70% over just the last month on a steady stream of positive news from its massive 1,177 square km Cariboo land position which includes six past producing mines. The first drilling from the Valley Zone intersected high grade gold mineralization close to the surface and at new depths between the Cow and Island Mountain deposits. According to the junior explorer these results represent the first holes drilled in the Valley Zone area since the Cariboo Gold Quartz Mine ceased operations in the 1960s. Last week the junior explorer announced permits to begin small-scale underground production at the property’s Bonanza Ledge deposit which it hopes to start up in July and proces at its own mill located 110km south of the property. The company has an ongoing 130,000m drilling program at Island Mountain following 60,000m program at Cow Mountain last year. In March last year Barkerville updated the resource estimate for Cow Mountain outlining indicated resources totalling 2.8 million ounces of gold at an average grade of 2.4 g/t. Inferred resources total 2 million ounces at 2.3 g/t.